Where the spirit is soothed, the mind is refreshed & the body is rejuvenated. Set in a secluded bay on the southern coast of Cyprus this stunning hotel provides its guests with a tranquil and luxurious stay. The hotel itself is one of just two properties in a Blue Flag awarded beach ensuring that you can enjoy tranquil privacy during your stay. Columbia Beach Resort has been named as ‘Cyprus’ Leading Spa Resort’ by the World Travel Awards which is a reflection of the spa’s professionalism and highly trained staff who work to pamper their guests with a variety of treatments and relaxing experiences. The one and only spa in Cyprus to possess the ELEMIS BIOTEC machine, Hébe Spa’s fully-trained and conscientious therapists can now deliver 8 new highly-effective, super-charged facial treatments to re-boot cellular performance, enhancing the skin’s ability to repair, renew and re-tone. As well as relaxing on the beach and in the spa the hotel also has a luxurious infinity pool and stunning views across the Mediterranean Sea. Hebe Spa has a huge range of treatments to choose from including a variety of body wraps and scrubs, rejuvenating facials and relaxing massages each of which will ensure that you leave feeling refreshed in both your body and mind. 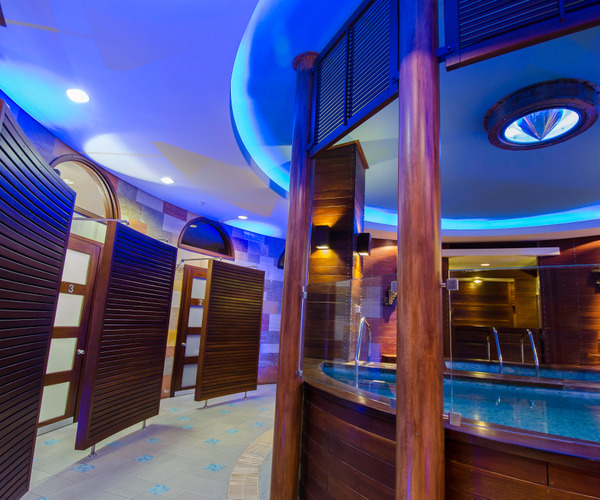 The Hebe Spa has all of the essential facilities one needs to enjoy a fully relaxing experience, so guests can utilise the spa’s steam room and sauna as well as benefiting from weight loss and slimming programmes. The spa’s six luxurious treatment rooms have been carefully designed to emit a sense of tranquility and style and are set in the tranquil surroundings of the spa. The two swimming pools, one indoor and one outdoor are equally as luxurious as a refreshing dip in the Mediterranean and are the perfect place to enjoy the views of the stunning surroundings from. The hotel also has a state of the art gym to keep you in shape during your stay with fitness classes available, or guests can benefit from the tennis and squash courts. There are also four championship level golf greens in the hotel’s vicinity which can be reached by regular transfers. The hotel’s 95 exclusive suites are stylishly decorated and have incredible views overlooking the hotel’s naturally beautiful surroundings. 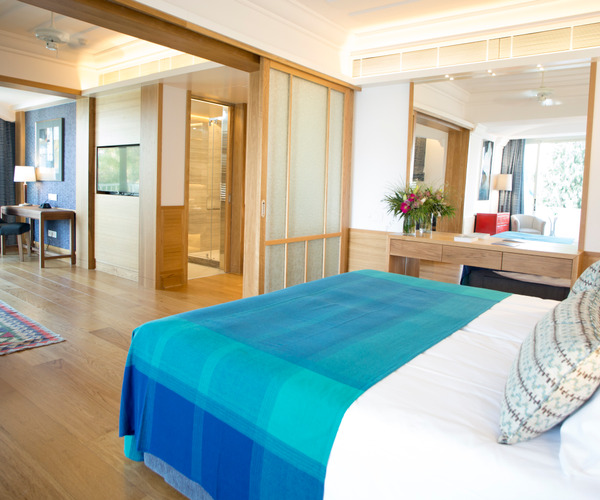 There are a range of different sized suites available to suit everybody’s needs and each come with en suite bathrooms, air conditioning, Wi-Fi and satellite television. During your stay at Columbia Beach Resort you will be sure to enjoy the two delicious dining options. Bacchus serves up gourmet Italian dishes from a luxurious spot surrounded by palm trees. Apollo provides guests with a fresh taste of the Mediterranean whilst overlooking the sparkling sea. There are also several bars in the hotel for guests to enjoy during their stay.